Fans of the Action/RPG genre are eagerly awaiting the release of The Lord of the Rings: War in the North, a new role-playing title from Snowblind Studios. WitN will feature an expansive three-player cooperative campaign allowing players to form their own fellowship, as well as a series of in-game challenges which will test players abilities to work together. To emphasize the importance of co-op gameplay, the developers have released a behind-the-scenes / gameplay trailer focusing on “The Power of Three,” and highlighting the different abilities and tactical advantages offered by each character class. 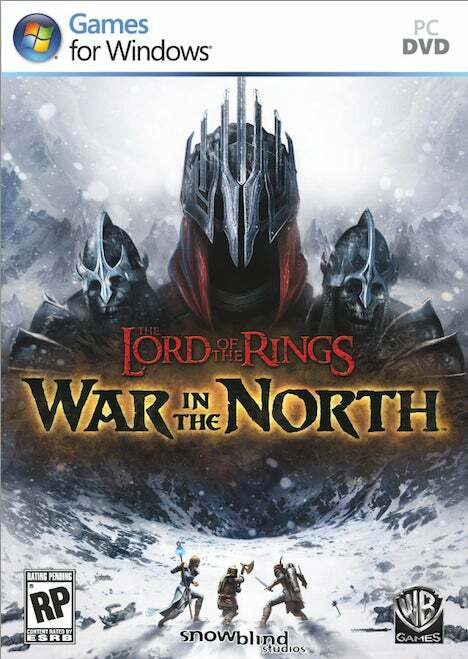 Watch the video below, and keep an eye out for The Lord of the Rings: War in the North when it releases for PS3, PC, and XBox 360 on November 1st, 2011 in the U.S., and the 25th in the UK. As promised, Peter Jackson is delivering on some great goodies and sneak peeks on his upcoming return to the world of J.R.R. Tolkein with The Hobbit. First we got a great look at the dwarves Nori, Ori, and Dori, and now we’re getting a few more great dwarves revealed, as the first image of Kili and Fili surfaces. Played by Dean O’Gorman (Fili) and Aidan Turner (Kili), these two dwarves will aid Bilbo in his upcoming journey across the globe. Here’s the official description. A bit familiar, these characters all look like they belong in the world Jackson helped create on film a decade ago with The Lord of the Rings. That’s more than something another famed trilogy director could pull off (looking at you, Lucas!). Take a look at the full image after the jump and keep your ears and eyes open for more glimpse at The Hobbit in the coming months leading up to the film’s release.